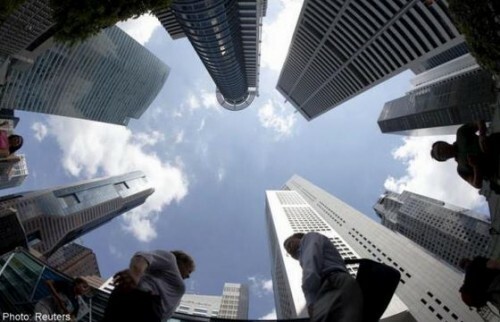 SINGAPORE - The business outlook among SMEs has dipped further for a third consecutive quarter, according to the latest findings by the Singapore Business Federation (SBF) and DP Information Group. The report revealed that the Overall Index Score for the second half of 2015 fell from 54.0 to 53.5 - its lowest level since the start of 2013. The index measures the business sentiment of SMEs for the next six months. Some 3,600 SMEs were interviewed. Four of the six industries included in the Index - commerce/trading, manufacturing, retail/F&B, and transport/storage - are all less optimistic than they were three months ago, while for Business Services companies, the outlook remains the same. Only the construction sector increased slightly from 53.6 to 54.0 in the index. Mr Lincoln Teo, chief operating officer of DP Info, said SMEs are less optimistic but have yet to sink into pessimism. He added: "We believe that despite demand, hiring pressures have forced some SMEs to cut back their capacity, resulting in a moderation of expectations for the next two quarters. The small movements in the Index score which indicates SMEs expect more of the same for the second half of the year." Mr Ho Meng Kit, CEO of SBF said that the latest findings "reflects the uncertainty in the global economy and the tough business environment locally." He added: "This latest survey, coupled with other findings such as the lower forecast for Singapore 2015 GDP growth and the contraction in overall employment in the first quarter of this year after five years of sustained growth, could be signs that the economy is reacting to our economic restructuring policies. This situation merits closer monitoring to avoid us slipping into economic difficulties." Mr Ho also urged SMEs to tap on government initiatives to "improve their capabilities and overcome the challenges during this period of tepid growth." He suggested that companies should also consider an internationalisation strategy as part of their business expansion plans.